Help eliminate the millions of plastic straws used every day by having your own stylish reusable one! 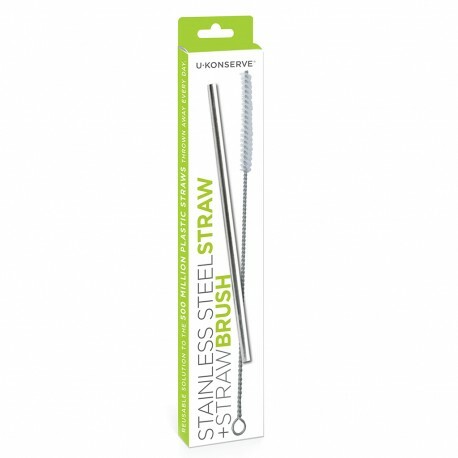 This durable drinking straw is made from 304 (18/8) food-grade stainless steel and comes with its own brush for thorough cleaning. Ideal for cold summer drinks, fruit smoothies and dinner party cocktails. Comes in recyclable card box. 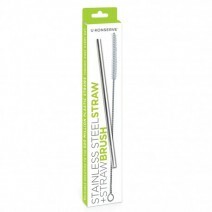 Care Instructions: It is recommended that the straw is cleaned thoroughly inside with a straw brush before first use. Straw suitable for dishwasher.